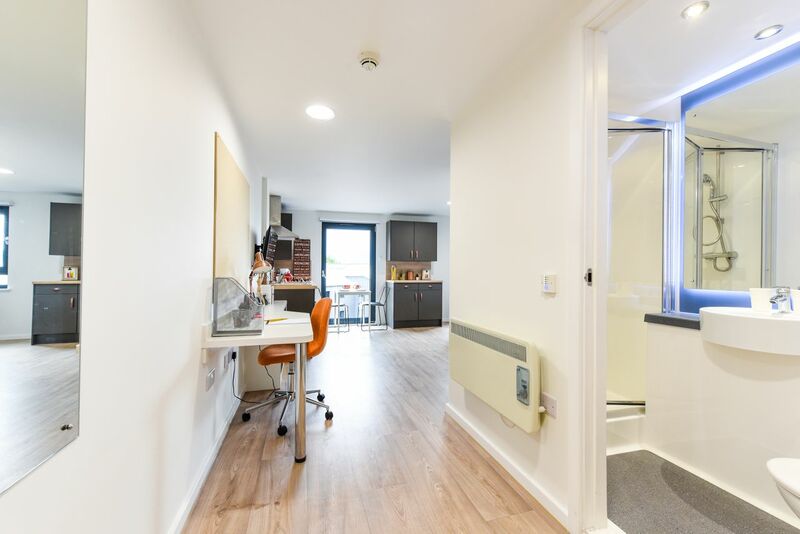 Live in student accommodation by the canal and walk 12 minutes to University of Chester or take the bus 15 minutes to Kingsway Campus. Walk into the city centre and spend your days getting to know this charming city in the Northwest with beautifully preserved buildings and an abundance of picturesque green space. Picnic or go boating on the River Dee, see plays and films at Storyhouse then grab a beer and snacks at The Brewery Tap. 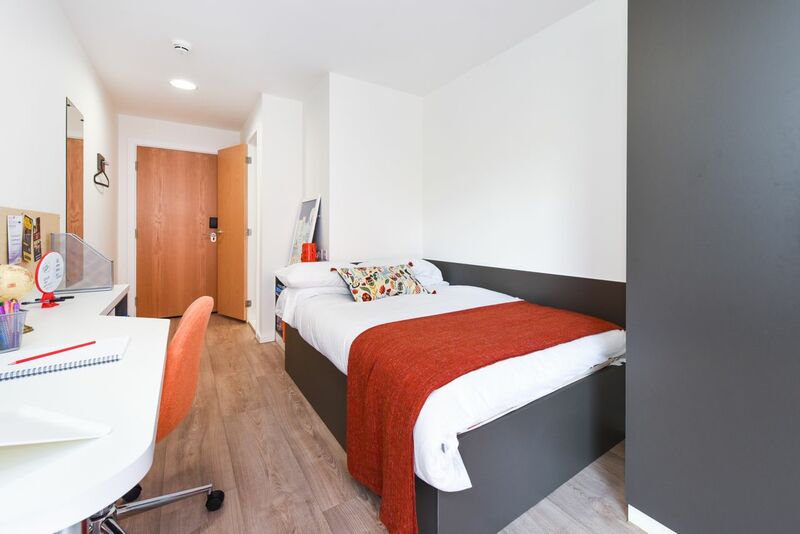 Study at Chester University living in accommodation that’s modern and stylish. 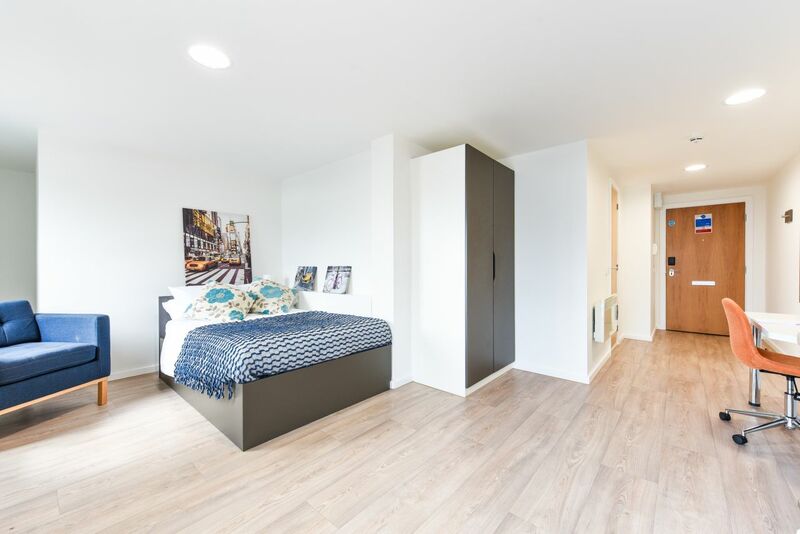 Choose from self-contained studios with fitted kitchens, study spaces and a comfy double bed. Or pick an ensuite room where you’ll have the privacy of your own bathroom and access to a shared kitchen and living space. With some studios and ensuite rooms having their own balcony space you could take your books outside to get some air while you study. If you don’t fancy studying in your room, use the study area, or relax in the common room watching TV or playing games. Fit in a weights session in the gym then throw your sweaty gear into the wash using the coin-operated laundry. There’s a secure place to keep your bike and an onsite management team who can help you every step of the way. 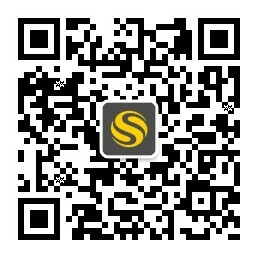 Don’t miss the social events organised to make meeting new people stress-free and fun. Wir haben leider keine Unterkunft gefunden, die deinen Wünschen entspricht.Alle Privatzimmer in The Towpath ansehen. Wir haben leider keine Unterkunft gefunden, die deinen Wünschen entspricht.Alle Ganze Wohnung in The Towpath ansehen.